Interdisciplinary research and education form the basis of the Nonwoven Institute’s mission. The NWI forges a full spectrum of mindpower gathered from North Carolina State University’s colleges of Textiles, Engineering, as well as expertise drawn from the university’s colleges of management, physical and mathematical sciences, and life sciences. 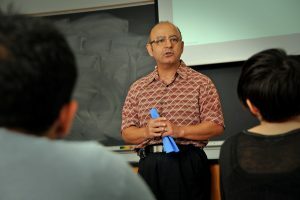 The NWI supports the work of over 50 Masters- and PhD-level students pursuing advanced studies in fiber and polymer science, chemical and bimolecular engineering, wood and paper science, textile engineering, color chemistry and other disciplines. Their research endeavors range from surface engineering and new-material development to modeling and simulation of advanced fiber systems. The NWI facilitates the emergence of tomorrow’s nonwoven industry leaders through its research support for graduate students and faculty. Additionally, the Institute’s professional development and training programs provide support to those already working in the nonwovens industry. The NWI has created an extensive menu of high-quality short courses – both in-classroom and virtually – designed specifically for the needs of industry professionals. These courses offer in-depth learning experiences across such areas as materials, polymers, fibers, processing, manufacturing and product development. Training also addresses market analysis and other business-related content. The NWI instructional staff also provides training that is custom-tailored around the unique needs of a single company, programs that may be offered on-site at company facilities.